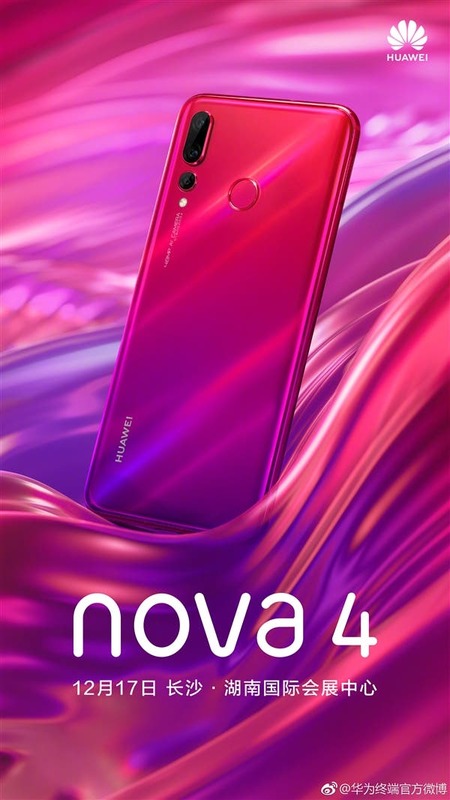 After weeks of leaks, speculations, and teasers, Huawei appears to have now officially confirmed the Nova 4, its launch date while also releasing the first official render of the device. The confirmation comes via an official teaser poster released today. 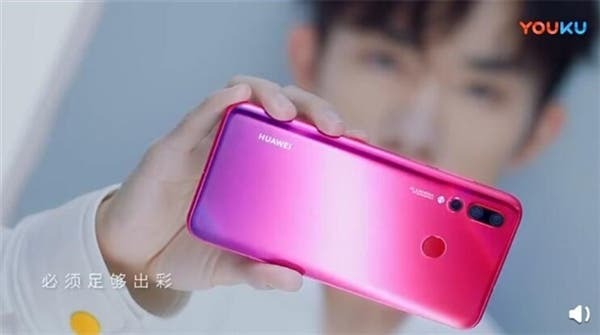 The teaser confirms that the Huawei Nova 4 will go official on December 17 at the Hunan International Convention and Exhibition Center in Changsha city, China. The teaser hasn’t revealed many details about the device, but it does reveal a new honey Red color which is speculated to be a Star Ray version. While previous teasers from Huawei have refrained from showcasing the rear side of the Huawei Nova 4, save for some leaked unofficial renders, today’s render is flaunting the flipside of the phone, confirming a rear fingerprint sensor as well as a triple-rear camera setup. Although Huawei hasn’t officially revealed the specs of the upcoming Nova 4, previous reports have it that Huawei will be releasing two variant s of the device based on their camera configuration: a Nova 4 with 48 + 16 + 20 triple camera arrangement, a vanilla version that is expected to swap out the first 48MP sensor for a 20MP sensor. Both versions should highlight a punch hole selfie camera similar to the Galaxy A8S.